For those of you who can understand mandarin and are in Penang this weekend, come join me in a tête-à-tête with Chong Eng, Member of Parliament for Bukit Mertajam. 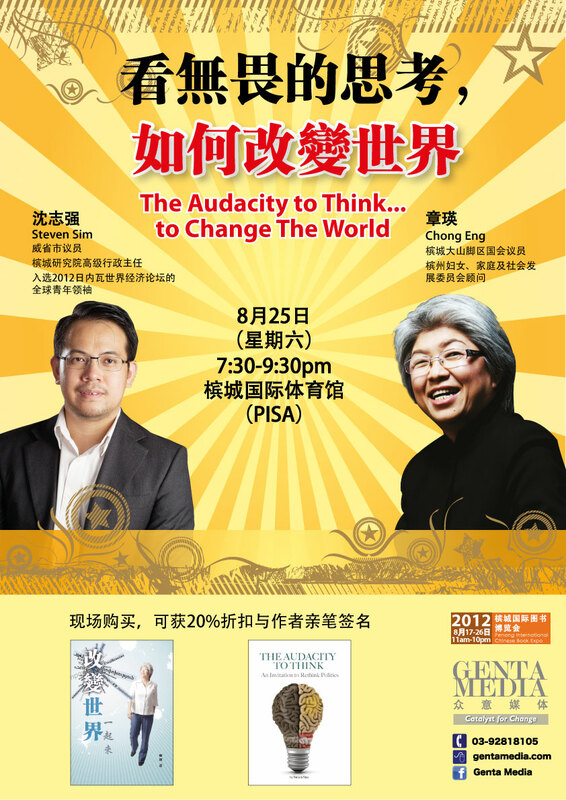 Chong and I will talk about our political experience including points from our books. I am quite excited and look forward to the talk – for two reasons…read more here.